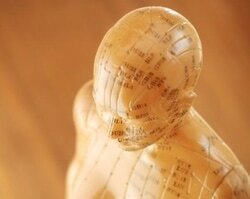 At Holistic Healing Acupuncture you can expect the highest level of treatment. Whether you are seeking a safe and natural method of healing, are frustrated with other methods of treatment, or are simply seeking a healthy balanced lifestyle and wellbeing. We are here to assist you on your path to balance, health, and happiness. We offer treatments for a vast array of conditions. Together we will come up with a customized treatment plan designed to best suit you, and your constitution and health goals. Please contact us with any questions or concerns you may have. Thank you for visiting and we look forward to meeting you and being part of your path to healing. When a patient comes in for an initial visit we will go over your personal health history and design a customized plan to treat you, followed by your first acupuncture session. Please allow 90 minutes for your initial visit. Please allow 60 minutes for follow up visits. A cupping treatment takes approximately 30 minutes. This rate is for home visits within a 20 mile radius of Hudson, WI. Additional fees will be charged outside of radius. You can expect home visits to last for 60-90 minutes. In addition to accepting all major credit cards, we gladly accept HSA and FSA cards.